Sajid Javid last week hinted the Government was working towards a skills-based single system which ’judges people not on where they are from but on what they can do’. 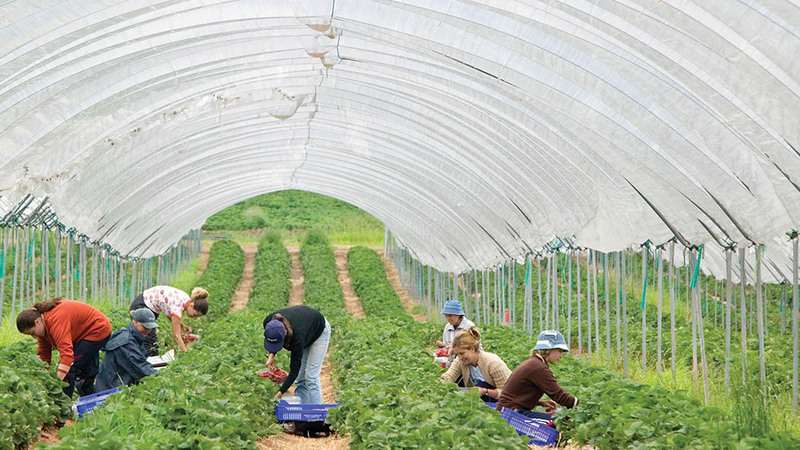 The Home Secretary’s obsession with skilled labour has been slammed ‘a deep concern’ by the horticulture sector which is still in desperate need of seasonal workers. But NFU horticulture chairman Ali Capper said farmers experienced a 29.4 per cent shortfall in labour four weeks earlier than last year, a trend that did ‘not bode well for the peak season in 2019’. She told this week’s NFU Council meeting: “It may be rhetoric but his [Sajid Javid’s] apparent obsession with skilled labour should be a deep concern to us all. “Are we planning to de-skill British workers even though there are so many skilled jobs? “Closing access to low-skilled workers that we can train would be a backwards step. The cost per kilogram of fruit and vegetables this year has also increased by 12 to 15 per cent for the second year running. Ms Capper said looking to 2021 and beyond, the new Migration Advisory Committee (MAC) report said if the horticulture industry was to contract, it would not affect GDP – and that it should pay a premium for access to special worker schemes. “If the new Immigration Bill follows this lead it will be the end of British grown fruit and vegetables,” she said. NFU Council member for Lincolnshire, Northamptonshire and Rutland Chris Parker added Conservative suggestions migrant labour would only be allowed if workers were paid a minimum of £30,000 was alarming.